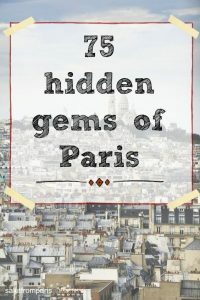 ● 75 hidden gems in Paris ● UPDATED 2019 ● Paris off the beaten track! Paris is the city of monumental architecture and imposing buildings. But also a city with hidden gems and secret attractions just as numerous as it’s cobbled stone alleys and narrow corners. 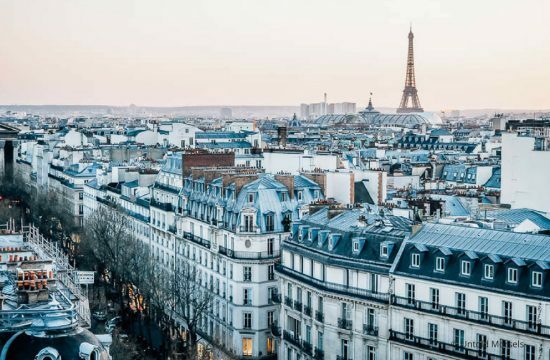 If you are traveling to Paris for the first time, it’s rather easy to go for a straight forward been-there-done-that city escape. 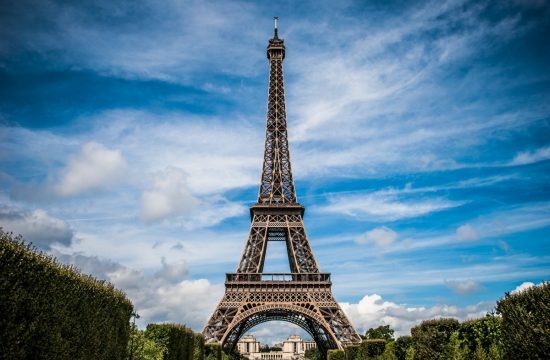 Please do take time to do so; visit the Eiffel Tower (don’t miss our guide!) and climb up the the stairs to Sacré Coeur. Even have a stroll on the Champs Elysées! It’s lovely and despite all the hype, you haven’t been to Paris if you didn’t see this part of the city. 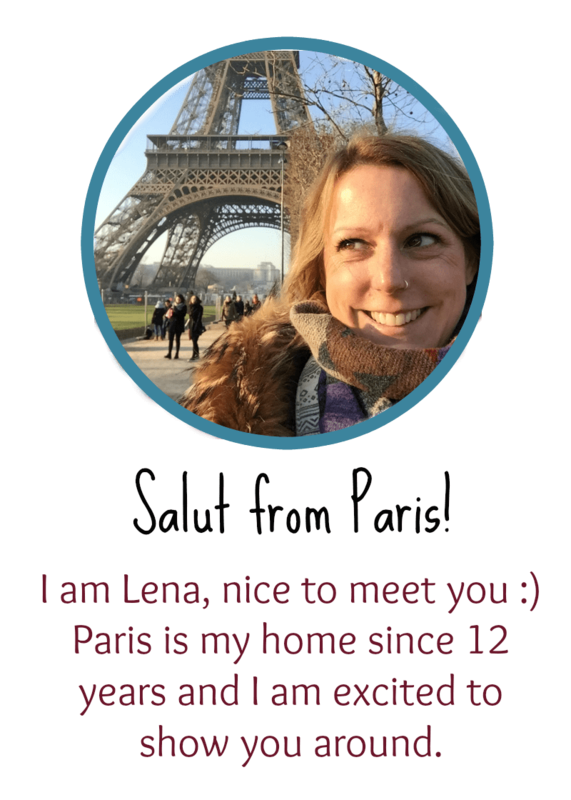 Do you want to know what others love about Paris? We asked popular travel bloggers, check out what they’ve said and follow their Paris travel advise! 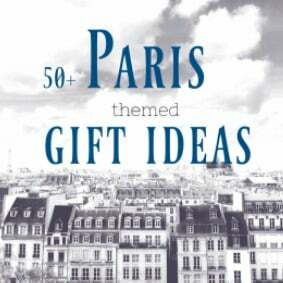 And then, once you’ve seen all the obvious, go and look for the secret Paris attractions. 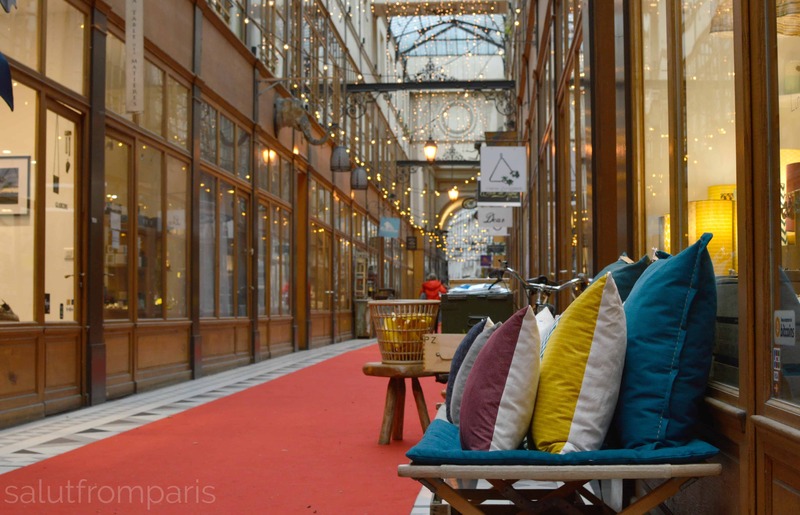 Search for the hidden gems of Paris. 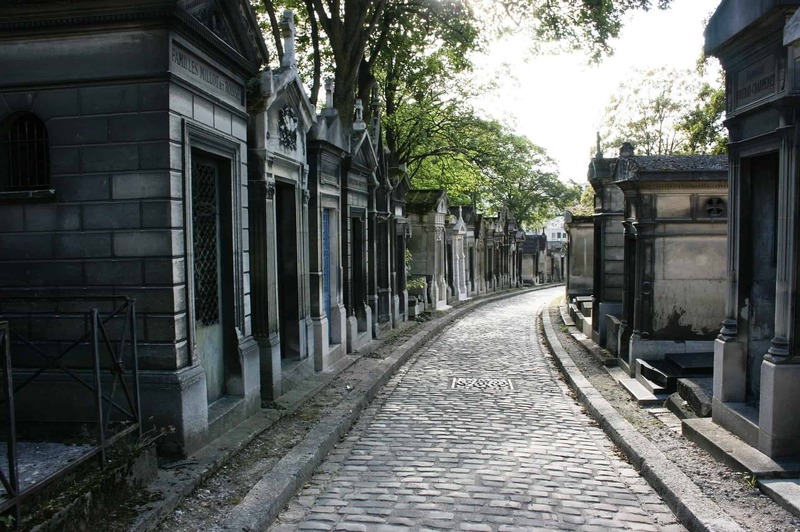 To make it a bit easier, I assembled a wide list of unusual things to do in Paris for you. 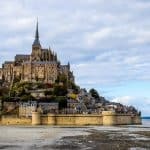 PS: This list comes free of charge and I hope it helps you to have the best Paris trip possible. It contains some affiliate links though. This means, if you book something over a link I shared (a hotel, a flight, a tour…), I might earn – at no extra cost for you – a little commission. It’s not much but it helps to keep this page up and running. The 4 hectares of garden are especially nice in spring – it’s a patchwork of different garden and architecture styles and you find Japanese, French and English gardens, but also roseries, orchards and forests. The Parc de Bercy is a rather small park just next to the Cours Saint Emillion. 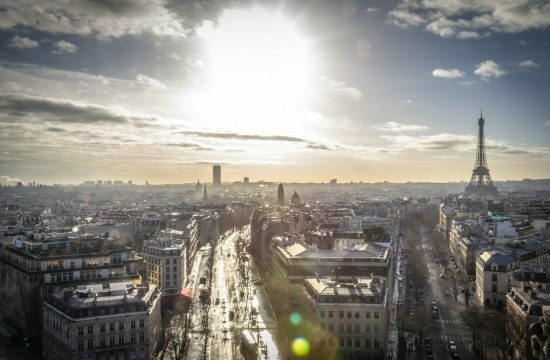 It has different areas and combines a variety of concepts, if you want to see a tourist free part of Paris, that’s your place to be. The garden in the very centre of Paris is one of the biggest gardens in Paris. It’s a classical french park with water basins, statues and plenty of free to use chairs to relax, have lunch or watch people. The Tuileries is another big park in Paris but apart from it’s convenient location between the Champs Elysées and the Louvre, the Rodin sculptures should not been missed. 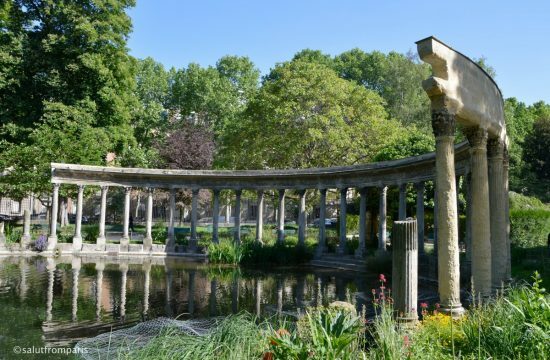 The 5th biggest park in Paris with some interesting features: a waterfall, an extension bridge, a temple and due to the immense difference in levels a fantastic view over parts of Paris. 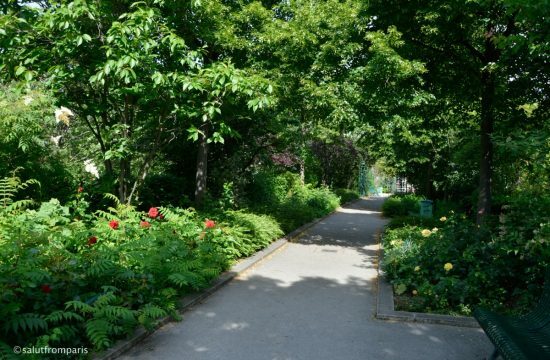 ..and if you are already there, head a bit south and visit also the Parc de Belleville! 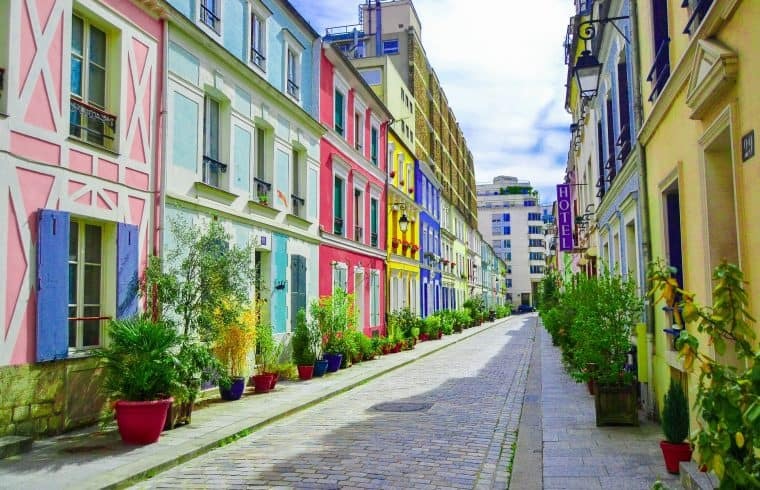 Read our complete review and guide to the the wonderful Belleville area here and make sure not to miss the amazing street art that is covering the quartier. You rather have a local show you around and get valuable insider views? Click here to see all available Street Art Tours in Paris! 9. see a movie at Cinema Harlequin The cinema plays mainly classic movies but also foreign pieces in original version. 10. attend an open air concert in Parc Floral Throughout summer plenty of concerts are happening in Parc Floral, mainly Jazz and Classic. Many of them are free, however, the park charges a small admission fee. 11. enjoy live music at fête de la musique every year on the 21 of June Paris becomes one big stage. You basically have concerts everywhere: in Parks, bars, venues or simply on the streets. Most of them are free. 12. see the parade for Chinese new year at Place d’Italie The asian community in Paris is quite big and so are the festivities for the Chinese New Year. The most significant is the parade that leads through China Town and starts around Place d’Italie. Get there a bit early to get a good place. 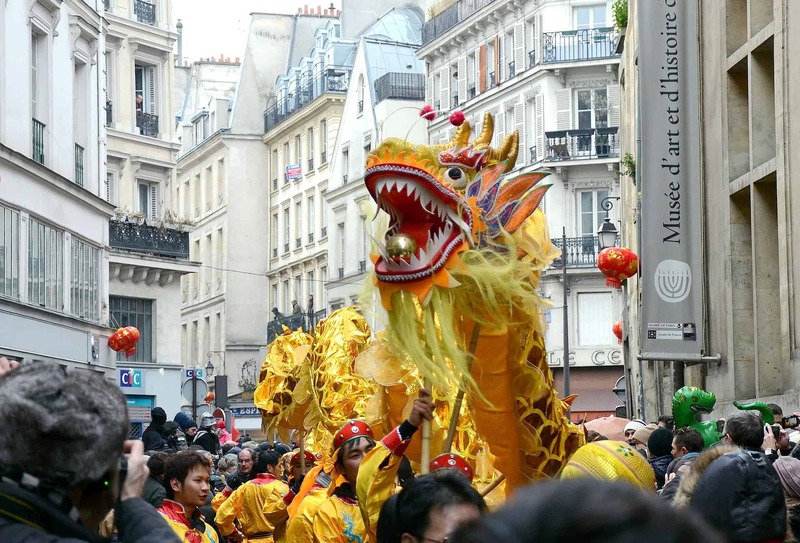 The Parisian Chinatown lays in the 13th arrondissement and if you’re there around new year, don’t miss the parades for the Chinese new year – meeting point: place d’italie! 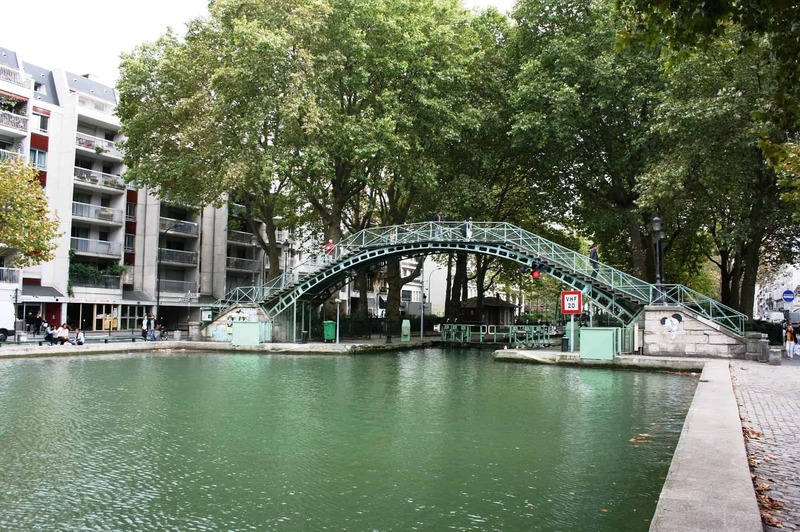 14. enjoy a free open air cinema session at Parc la Villette Grab a picnic cover and a bottle of wine and enjoy a warm summer night at Park la Villette. The cinema sessions are usually taking place around august. 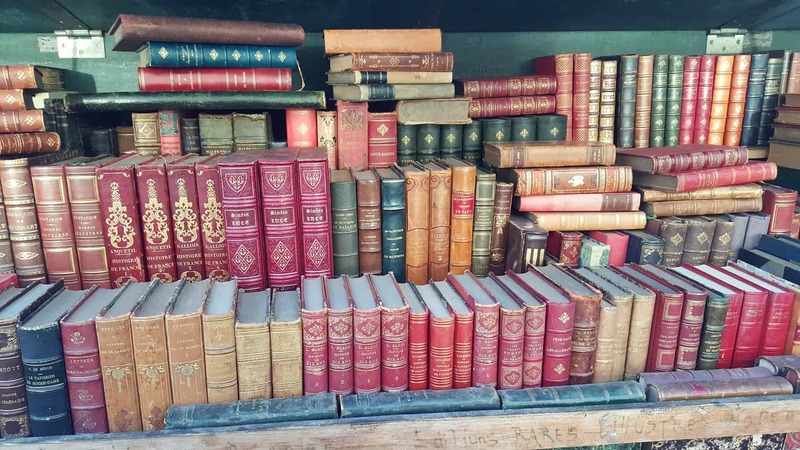 16. attend a free reading session at Shakespeare and Company the most iconic and famous bookstore in Paris is hosting free reading sessions on most mondays. Be there early to get a seat inside and stay a bit late to share a glass of wine with the author. 17. eat a Falafel at L’As du Falafel This restaurant in the heart of the Marais is the favourite Falafel place of Lenny Kravitz. You can either try to get a seat inside or you simply get a Falafel Sandwich as take away. Don’t get put off by the queue though, they are pretty fast. 18. have a drink or join an event at La REcyclerie La REcyclerie in the north of Paris is a Bar, Restaurant, Shop and eco project that uses parts of the old railway ring around Paris for their projects. It’s a pretty cool and inspiring place. A very popular – and low budget – activity for basically everyone. Beer works as well 🙂 The Jardin Tino Rossi is a good place for it. 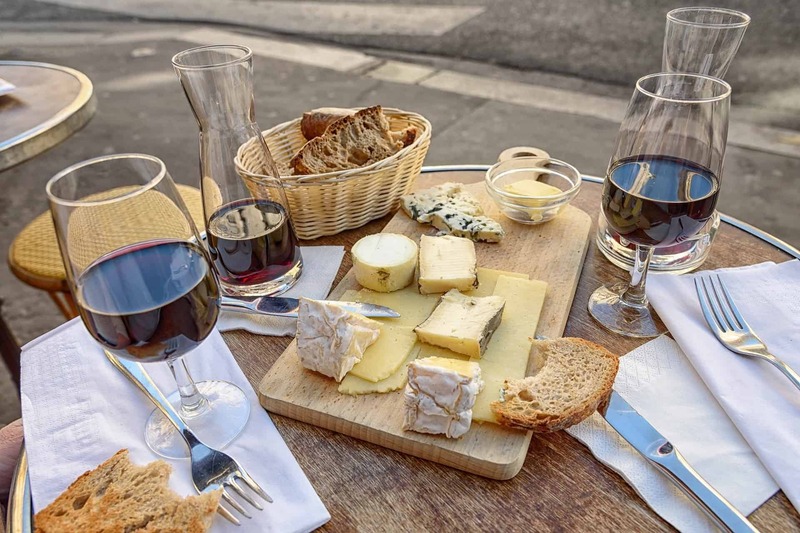 If you want more than just chocolate, check out A Taste of Paris: Le Marais Food Experience During this 3 hour tour you’ll sample yummy wines, cheeses, meats, bread, jam, chocolate, and macarons in a small group – a great way to have lunch! There can’t be too much cheese, right? Paris is cheese paradise! A rather unique place in Paris; the petit bain is a barge on the Seine that got converted to a bar and little concert venue. This coffee house is a truly hidden gems in Paris if you like coffee. Besides the excellent brew, it’s a nice work café with a good internet connection, a real offbeat tip if you are in for coffee. The Rue Sainte Anne is famous for the best Japanese restaurants in Paris! You can easily find the best restaurant by just checking the lengths of the queue! Besides Ladurée probably the best Macaron in Paris. They are insanely popular and you most likely have to queue a bit to get some … however, they are as expensive as delicious. Apart from a huuuuge selection of rhums of all origins and kinds, they serve very good food as well – don’t miss the Acras! Each year in November winegrowers from all over France are gathering in the Paris Exposition Centre at Porte de Versailles to present and sell their grape juice. Even if you don’t plan to buy anything, you can taste A. LOT. A big trade fair where producers from all over France are presenting their goods. It’s mainly a big feast of cold cuts, wine and sweets, but also a big exhibition of animals, machines and merchandise. This every day and all day market is famous for flowers – and birds! The latter are only sold Sundays though. 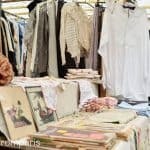 For more vintage shops – check out the Marais! 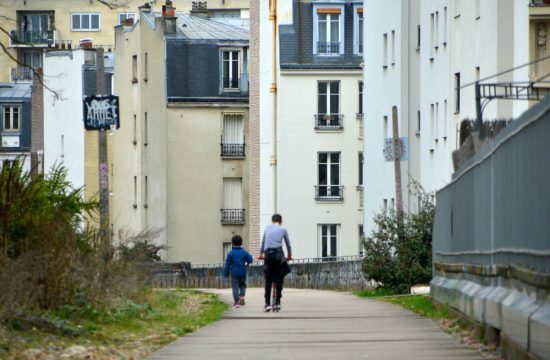 Probably one of the nicest walk you can have in Paris – especially if you want to see a Paris with the flair of past times. The covered passages are all in about the same area and it makes as well a great destination for rainy days. another cobblestone street with a lot of delis, bars and restaurant. A good place to either have lunch or to buy lunch for take a way and have a picnic somewhere. With more than 11000 œuvres the MAM is one of the biggest museums in Paris and: it’s free! However, you are kindly ask to donate 5€. A tiny gallery with impressive photographies. The admission is free. 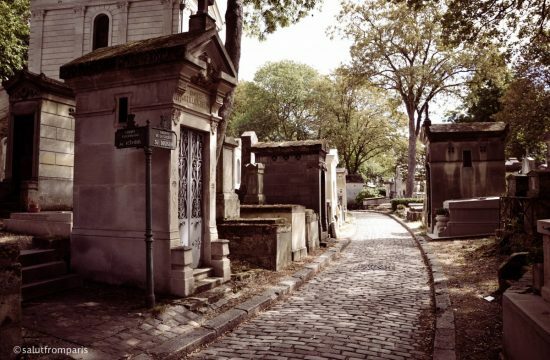 The Parisian Vampire Museum is run privately by a vampire enthusiast. You need to book ahead to get access. The elevated area just next to Place d’Italie is covered with street art. It’s also a great place to have drinks or dinner – I recommend the Tandem, a classic casual french restaurant. click here to see their menu and their availabilities. 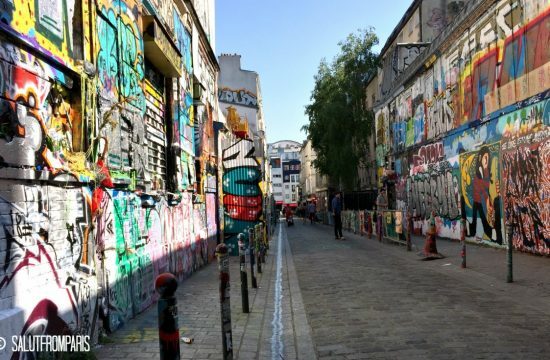 Don’t miss this walking tour if you want to know more about Parisian Street Art. The riverside promenade is a relatively newly opened park between the Musée d’Orsay and the Ponte d’Alma near the Eiffel Tower. It’s also great for skating and biking. 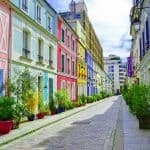 Don’t miss our itinerary for a walking tour through the completely non-touristic areas of Monceau and Batignolles – click here to know more! It’s an Island on the Seine, just next to the Ile de la Cité with the famous Cathedral de Notre Dame. One of the nicest things you can do on a sunny day – you can either rent a Vélib and cycle on your own or you take a guided bike tour as a sightseeing trip – check out our post to get the exact itinerary and see the video to get an idea of how beautiful it is! Not only for folks on a budget – get up to the roof top on the 7th floor and enjoy the view – for free! But it’s not the only one! 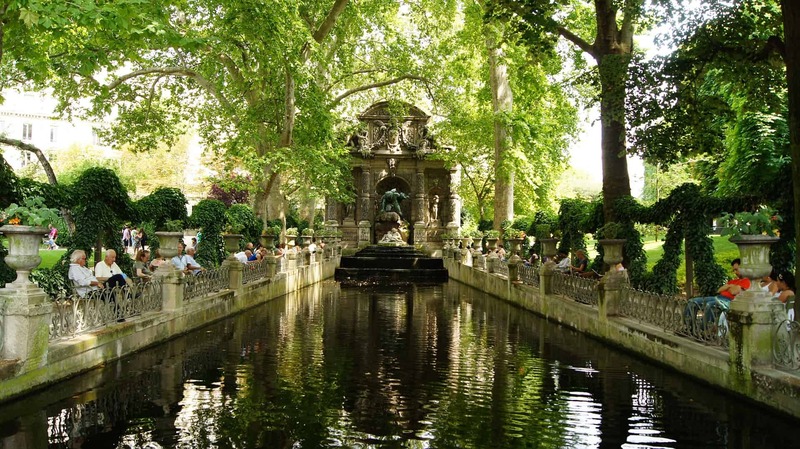 There is one hidden in the Jardin de Luxembourg … can you find it? La Défense is a nice spot to take pictures from the Arc de Triomphe, but also has a great Mall and it’s own arch! Just grab some beers (or buy some from the guys walking around selling them), have a seat, enjoy the view over Paris and life itself. 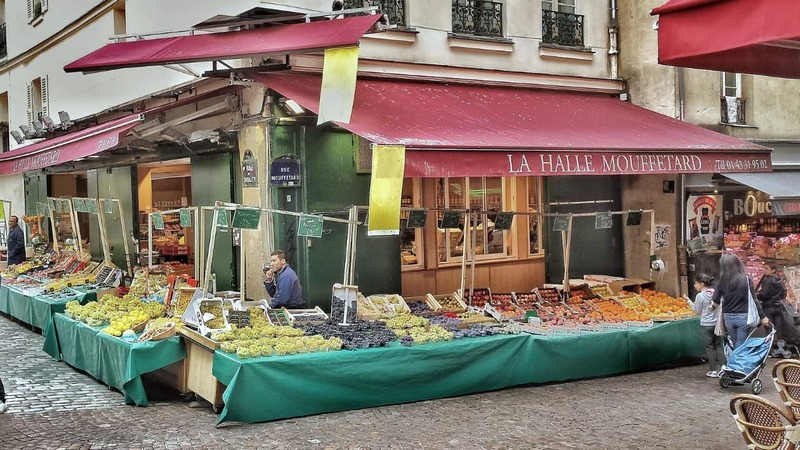 Check out our complete Montmartre guide for more off-beat tips! This bookstore has quite a good Manga section and even though it’s probably not intended, but you always have plenty of people just sitting on the floor and reading their favourite books. well.. you can’t just walk in unless you are a student, but you can try to get into on of their tours that are held almost daily. However, even if you just walk around it’s walls, it’s a nice promenade thought he Latin Quarter, a quirky area with typical student vibes. Fun Fact: La Sorbonne is one of the oldest universities of the world, founded in 1253! Did you know that there are vineyards in Paris? The most famous one lays just beyond the Sacre Coeur in Montmartre. If you are in town in September, make sure to visit the annual vine harvest festival. It’s basically a big street food festival with loads of wine. Sounds great, right? Click here to get more information on Montmartre – we wrote a massive guide! Summer in Paris means: Paris Plage! 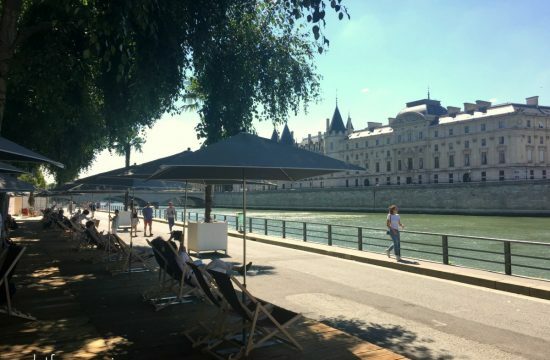 During July an August the Seine transforms into a beach scene … with changing cultural and sportive offers, pop up bars, music, and all sorts of animation. Click here to know more about it! And while you’re at it, Jean-Paul Sartre rests just next to her! 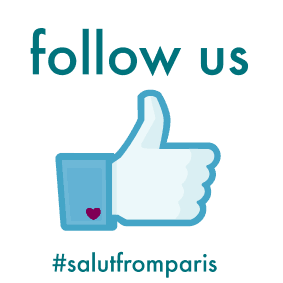 check also our posts about the best locations to stay in Paris to find out why the Quartier Latin is in! 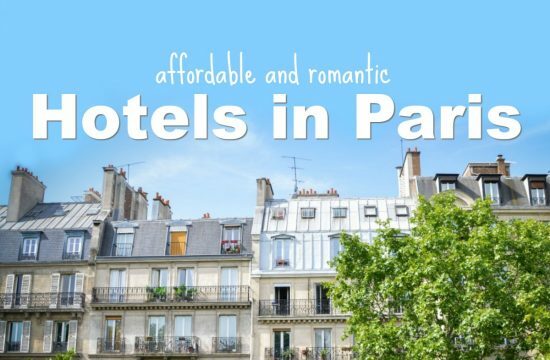 Click here to get to our selection of the most romantic budget hotels! Paris Mistakes – and how to avoid them! Pin it now – find it back later!